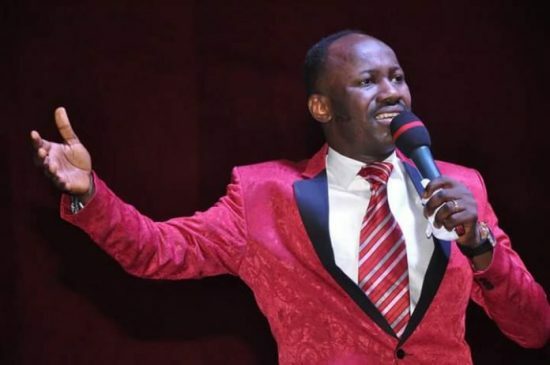 The Government of Zambia has given a Nigerian pastor, Pastor Augustine Oso Ebosele of Omega Fire Ministries in Lusaka 48 hours notice to leave the country. The country said it decided not to renew the employment permit of the cleric because his conduct has divided the Omega Fire Ministries into two parties. OFM was founded by Apostle Johnson Suleman. Chief Government Spokesperson Kampamba Mulenga made this announcement in Lusaka, the Zambia capital. Ms Mulenga said it was feared that with the Pastor’s continued stay in the country, the acrimony in Omega Fire Ministries could result into the breakdown and law and order. She said Pastor Obesele was given 48 hours to leave the country, in accordance with the Immigration and Deportation Act number 18 of 2010. She added that contrary to speculations, the Government has not closed Omega Fire Ministries and was not against Nigerian Pastors.